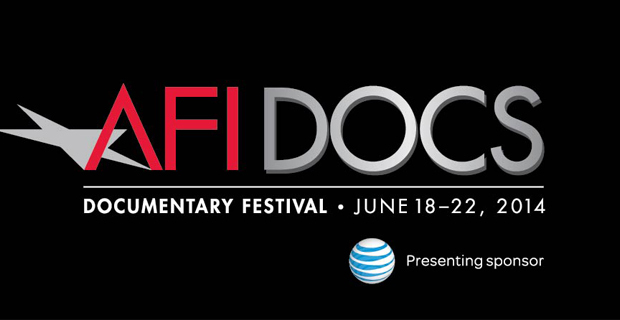 This past weekend, I had the unique pleasure of attending AFI Docs, the premiere documentary film festival in Washington, DC. For those of you who follow the site regularly, you know that here at UTG we are avid lovers of the documentary, and we do everything we can as writers to help promote this genre of filmmaking that is not given the same amount of exposure as your usual blockbusters. This was our second year attending AFI Docs, and I have to say, this year’s lineup was surely impressive. With a wide range of stories, styles, and filmmakers, the American Film Institute did a really good job this year providing an expansive lineup of different topics to satisfy all of your different needs. Part legal film, part caper, part commentary on government overreach, this film exceeded my high expectations and told a really great story that is incredibly poignant today. Reenactments usually are incredibly hokey, but this one most certainly was not. I’m a real sucker for films that tell the story of ordinary people doing extraordinary (and usually illegal) things, and 1971 definitely delivers. There’s a lot of characters in this film, and since we’re introduced to so many right off the bat, I initially found it hard to keep track of who’s who, but as the story progressed I made sense of it all. Not really a gripe, but more of a comment. All in all, 1971 was one of my favorites of the festival, and I think it’s an important portrait of how nothing has really changed in America. Amanda Palmer these days is a really polarizing figure, and this film is made for people who love her music or want to learn more about what is possible being a musician in the modern world. Those who are fans of Palmer will eat this up, but those who don’t won’t find anything to sway them the other way. A solid profile piece that’s a quick, easy watch. As a kid, my love of dinosaurs came out of a love of Jurassic Park. How that’s relevant to this review, is only that I’ve always been fascinated by these giant creatures on the silver screen, so I jumped at the opportunity to hear the real-life account of finding the fossils of one (still) of the biggest and most complete Tyrannosaurus Rex skeletons. Dinosaur 13 does an incredible job of taking what to some would be a pretty dry story, and making it highly engaging, interesting and suspenseful. During the Q&A, we learned that the film was originally going to be based on tons of recreations, but the filmmaker went a different route when the Black Hill Institute had tons of original footage. That being said, there are still recreations within Dinosaur 13, and honestly they felt out of place and really clunky. Apart from that, in conjunction with some of the interview cinematography having inconsistent quality, I really loved watching this film. It really captures the wonder of discovering history, and the film used this to their advantage, capturing my attention in similar ways that Jurassic Park did when I was 7. The Hand that Feeds takes the age-old story of workers fighting for better working conditions and fairer pay, and spins it, telling the story through the lens of undocumented workers in New York City. While at times the film felt like it could have shaved some of the running time off, The Hand that Feeds is not only informative, but entertaining, as the filmmaker really allows for the viewer to become involved in the lives of the workers, making the film that much more engaging. My only real complaint would be that The Hand That Feeds preaches to the choir a bit too much — meaning, I’m not sure how effective this film would be in swaying anti-union viewers to sympathize with the workers. I found the film to be highly interesting, but those anti-union viewers may tune out pretty quickly. Since we’re also a music website on top of covering film, I had to make my way to see the new Elliot Smith documentary, Heaven Adores You. As far as music documentaries go, Heaven Adores You does a really good job painting a picture of the artist for who he was, instead of how he tragically passed away. It would have been very easy for the film to dwell on his depression and the circumstances around Elliot Smith’s death, but instead, it takes a more celebratory approach that I feel was appreciated by everyone in the full house. While I admittedly left the theater wishing they had talked about his death a bit more (as I’m not super familiar with his story, just his music), the film’s intention was to be more of a “thank you” rather than a “why?” The cinematography was gorgeous, the music is obviously top notch, and despite the film feeling longer than it actually was, Heaven Adores You is a must-see for any fan. This was a really great film that was edited and executed extraordinarily. I loved how they started off with the character’s journey, and then transitioned between his growth and telling the story of Libyan struggle fluidly. The narration and bits of introspection, while also using our character’s footage, was incredibly interesting, and provided a really poignant dynamic throughout the film. A must-see for anyone who is interested adventure, the Libyan rebellion against Gaddafi, and stories about finding out who you truly are. For anyone who has no idea what foley is, this is a fantastic watch that will show you a hidden side of filmmaking that lots of people do not know about. Could have been shortened a hair, but I loved the style, how the story was presented, especially considering how there is not an inch of dialogue throughout the entire short film. Of the short films I watched, this was definitely my favorite.